You'll never have to brainstorm a list again. This pack has 190 lists! 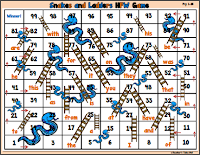 These are perfect for students to read and for you to help create your phonics lessons. 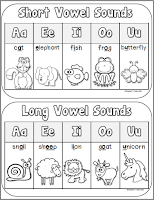 This pack includes long and short vowel sounds. 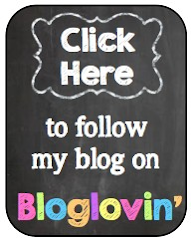 Do you use Clip It cards in the classroom? This little cutie has 40 task cards to clip the initial sound on the left and the final sound on the right with a clothespin. All task cards are CVC pictures. These are perfect for beginning readers and a great hands on activity. These Strips are all about CVC Short Vowel Words. 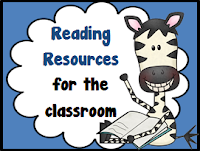 Get students excited about reading with these fun and engaging strips. 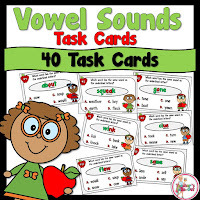 CVC Picture Cards has 20 task cards. Each task card displays 9 pictures that form CVC words. Students write the 9 words. Students will have practice sounding out words and writing the sounds they hear. All pictures represent 3-letter words. CVC Sentences for Reading Comprehension has 100 Task Cards, Each vowel sound includes 20 task cards. Students read the 2 sentences on the each task card and decide which sentence describes the picture. 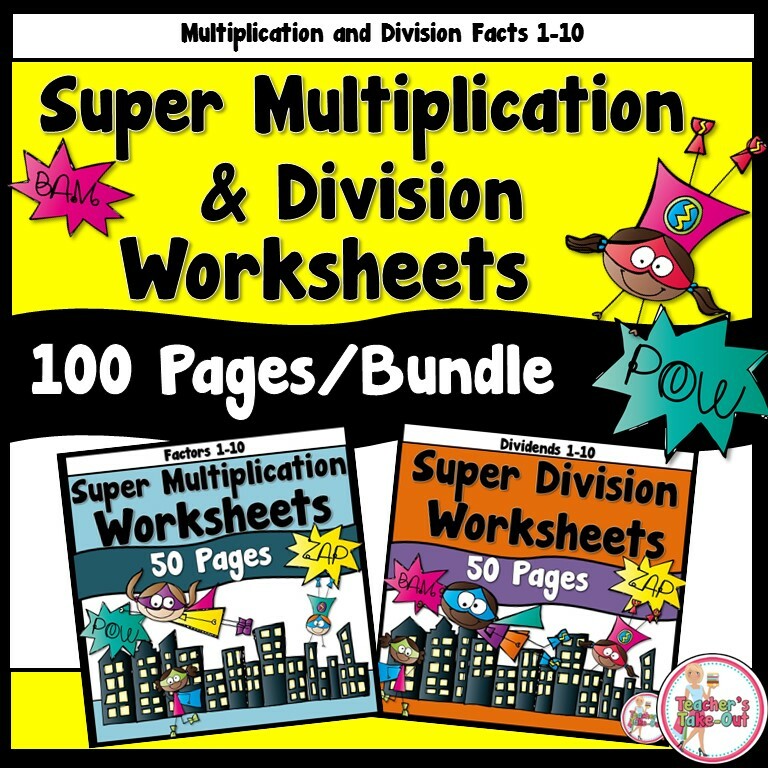 These are great for small group time or an alternative to worksheets. 2 Worksheets to identify the word and picture. 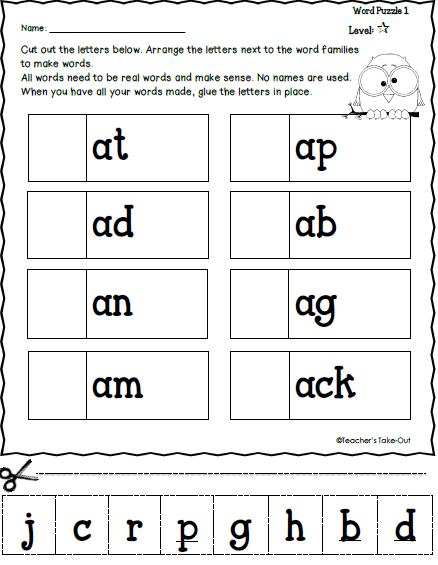 2 Worksheets to find words in a word back to match with a picture. 1 Worksheet to read a set of words and identify the real words. 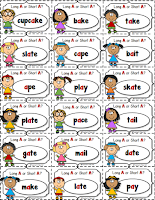 1 Worksheet to cut and paste the word with the picture. 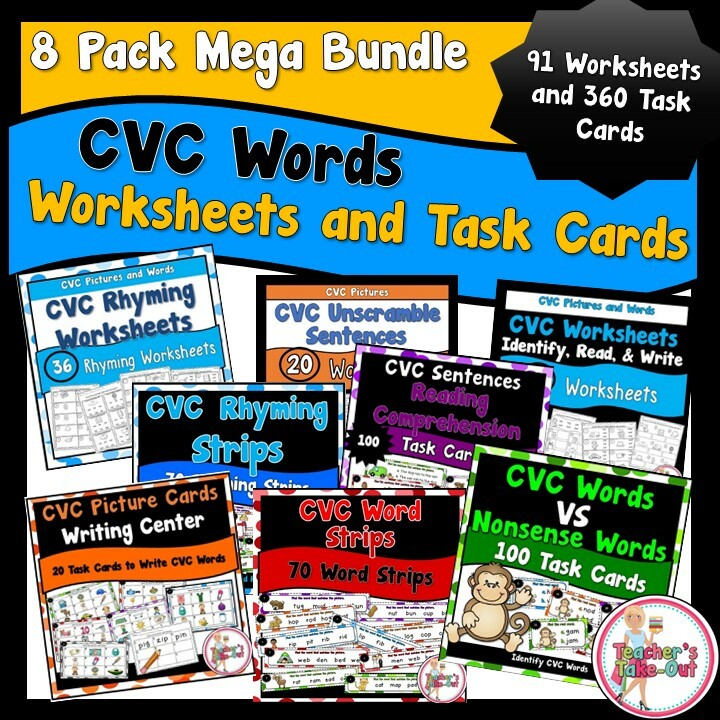 This pack includes 36 worksheets all about rhyming CVC Words. 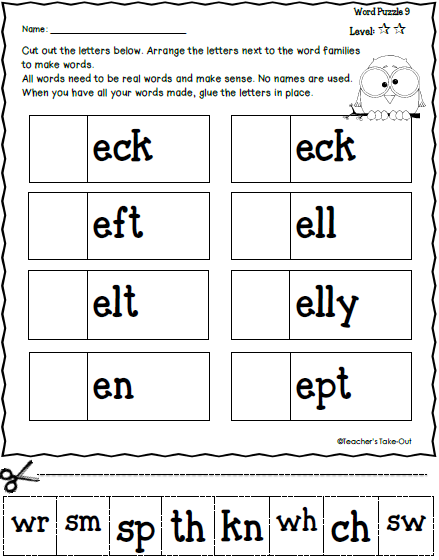 This pack includes 5 pages of activities for each vowel sound and 11 pages of mixed vowels to use for assessments. These are great to use at your small group time for a quick assessment of who's reading and rhyming. Place a worksheets at a reading center or send home for homework for extra practice. 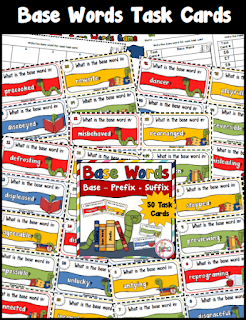 Base Words includes 50 task cards to help students identify base words. 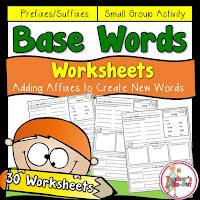 These are great for students being able to take words apart by looking for prefixes and suffixes and then locating the base word. Use the task cards for a reading center or for a 2-4 player game. 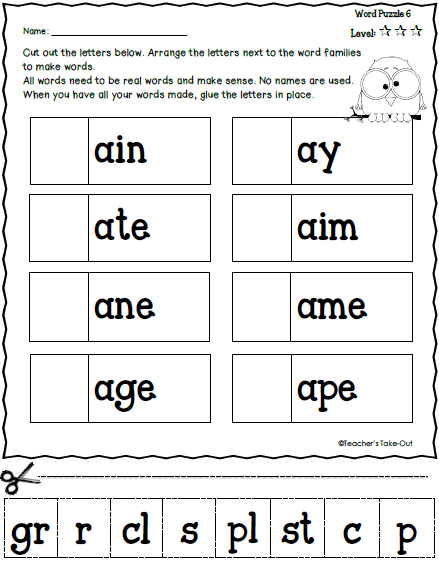 Here are a set of 30 worksheets using 30 base words. Students use prefixes and suffixes to create new words from the base word. They also use the new words they created and segment into spelling rules, write them into sentences, or give the new definition of the new word. These are great for small group. 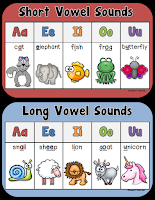 Vowel Sounds include 40 task cards to use as a center or for a 2-Player Game. 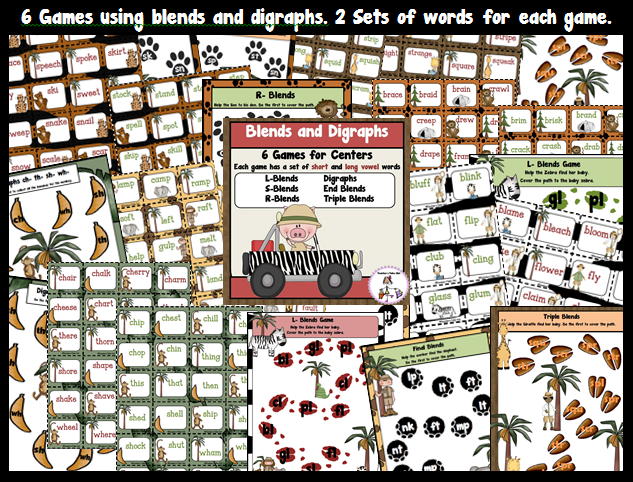 They are great for reviewing phonics and preparing for test prep practices. 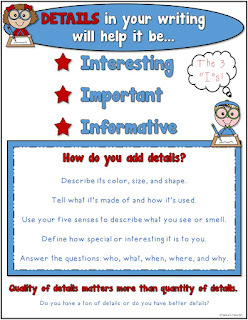 These task cards can be used as part of your lesson or during small group time. Non-Sense Words will help students with their phonics. They are tested to see if they know how to sound out words, recognize vowel sounds, and understand the words they are reading. 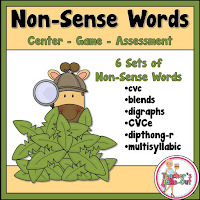 This pack includes 6 sets of Non-Sense Words to use for a center or for a game. Each set has 12 Real Words and 12 Non-Sense Words. Use the words at a reading center for students to separate the 24 words (non-sense from real words). They use the recording sheet to record their answers. Use the set of words for a 2-3 player game. Students pronounce the word and recognize it as being a real word or non-sense word. Game board included. An Assessment tool is also included in this pack. 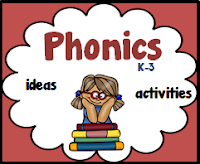 You will be able to track students' progress in phonics throughout the year. 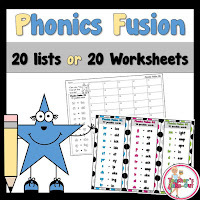 Phonics Fusion includes 20 word lists or 20 worksheets. These are are great for centers, small group, or team building. Students make as many words as they can by matching the blend, digraph, or consonant on the left with a vowel sound on the right. Student One can use br on the left of the list and make a word with ide on the right to make the word bride. Student Two can also use the br on the left and with ing on the right to make the word bring. Use at a center for students to generate 10 words. Use at small group time to go around the table as students take turns generate words. Use as a team building activity as students go around the table taking turns generating new words. Which team can make the most words? This is a fun way for students to make words, understand sounds, and a challenge to find all possible words at the top of the list. Students will be able to distinguish long vowel sounds from short vowel sounds when reading words. 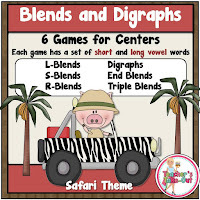 This pack has 5 games and 5 centers (1 for each vowel) to play. Use the set of cards to play a game or to sort at a reading center. A recording sheet and answer key is included. Students match long vowel words and short vowel words. Here are 2 examples for Vowel A. 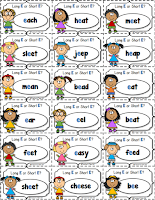 Here is a FREE long and short vowel poster. This also comes in a black and white copy. These look great on your reading wall or in students' folders. 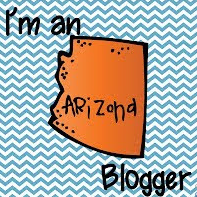 Just click the picture below to download this freebie! Teaching children about onset and rime helps them recognize common “chunks” within words. Why teach “onset” and “rimes”? 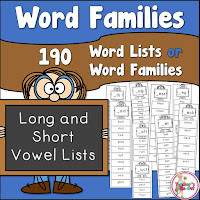 They help children learn about word families, which can help when learning spelling strategies. Students will be able to decode new words when reading and spell words when writing. Teaching children “onset” and “rime” will have a positive effect on their literacy skills. 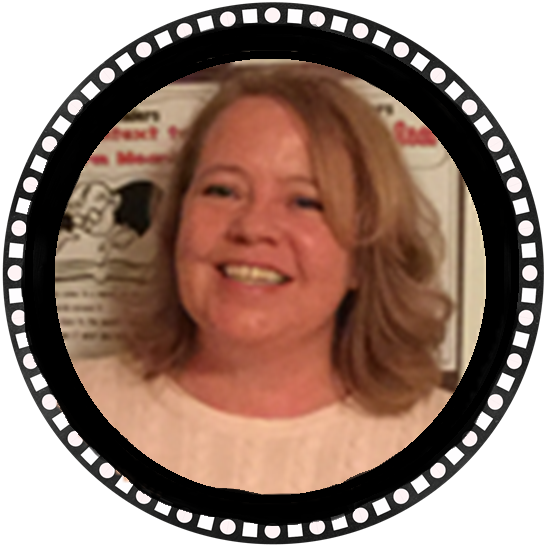 Knowledge of phonological awareness can bring reading and spelling success. This pack includes 40 puzzles with 3 levels (easy, medium, hard) Here is an example of one of the puzzles. Students cut out the letters and glue them next to the the correct "onset" to form real words. 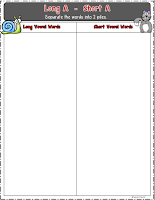 Try this freebie to practice reading short and long vowel words. 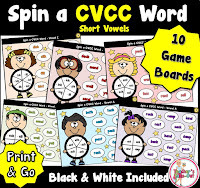 This pack is great to have students recognize and write CVC words and CVCE words. 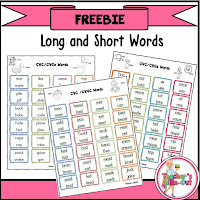 If your students are having a hard time going from a short to long vowel this pack may help students practice writing these words. 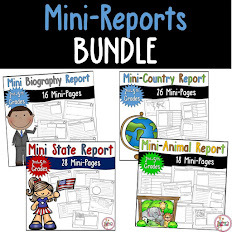 This pack is perfect for reading and wrting centers or during your small group time! 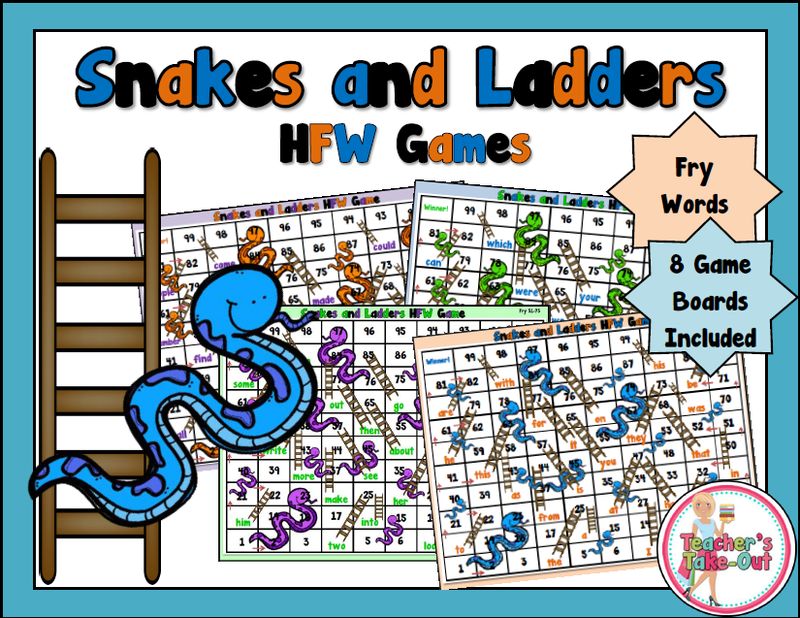 Snakes and Ladders is a fun game using HFW from the Fry word list (1-200) Your students will squeal with delight. Try a free game today. Click on the game board below. Need more short vowels? 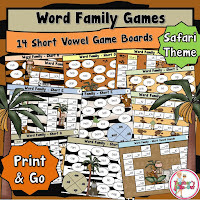 Word Family Games center around the 5 short vowels. It includes 11 game boards (2 for each sound.) Each game board comes with a spinner. Players spin to make words and move around the game board. 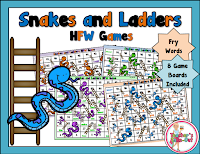 These are great for reading centers, small group time, partner games, or send home for homework. Alphabet Soup is a fun and cute little pack that students use to form CVC Words. Students use a task card that has 6 letters in a soup bowl. They arrange those letters to make CVC Words. These are great for students to learn to find and recognize simple 3 letter words. A black and white version is included. 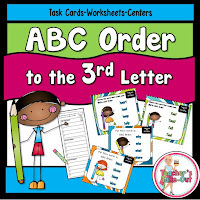 Here are TWO packs for ABC Order to the 3rd and 2nd Letter. 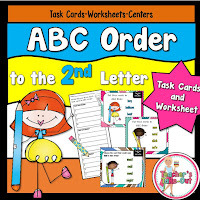 Each pack includes task cards and worksheets to use use at reading centers or small group. Each pack can be sold separately. For more reading ideas, try this Pinterest Board too! Discounted Prices right here on Teacher's Take-Out!